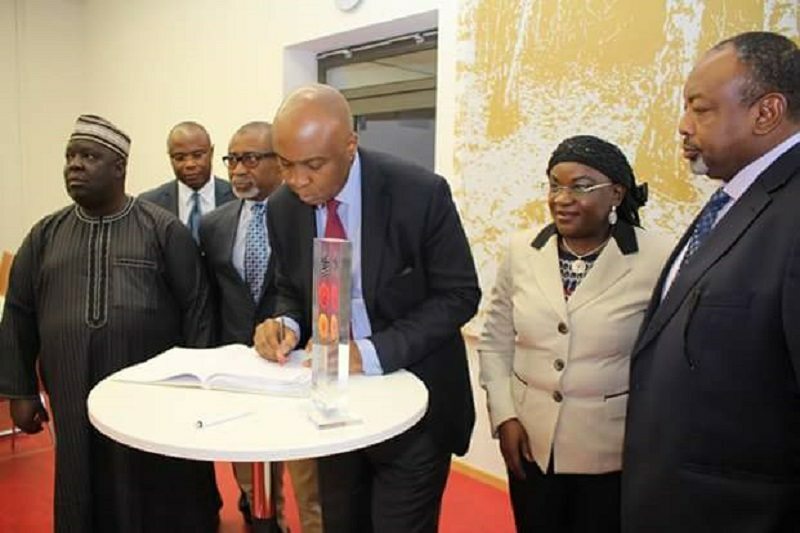 Senate President Dr. Bukola Saraki led a delegation that was recently in Berlin, Germany to source for ways to boost Nigeria’s power supply. transmission and distribution to solve Nigeria’s energy crisis. to produce clean and renewable energy. Feldheim and see what our people can learn from it. use slurry and manure from their pigs and cows and wind farms. which they sell the excess to the national power grid. on Wednesday night, the Senate delegation also had a discussion with Mr.
economic exchange between the European giant and Nigeria. achieve 30% renewable energy generation by 2030.